The Island of Phuket has lots of fun activities for kids, and most adults will love these fun activities as well. Phuket is one of the best family vacation destinations in Thailand, thanks to the variety of attractions and activities on offer for kids of all ages. Whether you have toddlers or teens, there are plenty of boredom busters to keep the kids amused, including a mix of low-cost and free things to do and see. As parents, travelling with kids we are always looking for the best activities and things to do with kids so as they don’t get bored and start grumbling. Most of the major hotels and resorts in Phuket are kid friendly and have childcare facilities and kids clubs that are full of fun activities for kids that will keep them occupied for days on end. Some of the activities include arts and crafts for kids, children’s games and fun outdoor games; some may even include electronic games just in case. Before you book your family vacation resort, check to see what kid’s activities are available and if these types of activities cater for your child’s needs and age group. Away from your family friendly resort, there are a range of fun activities for kids in Phuket, from fun outdoor activities in and on the water to adventure activities on land. 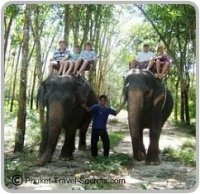 There are a range of interesting tours that the kids will enjoy and remember about their great family vacations to Phuket. Below is a list of some fun activities for kids in Phuket that we have experienced with our own kids for a memorable and fun family vacation. A must do activity for families is a tour of Thailand's most loved National Park, the picturesque Phang Nga Bay with its limestone cliffs and sea caves. 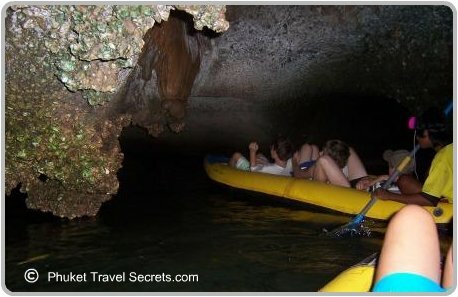 One of the best day trips is the guided canoe cave tour into the sea caves, an experience the kids won’t forget. As you can see in the picture above, our kids thoroughly enjoyed the sea canoe so much that they gave it the thumbs up before heading into cave. There is a range of different tours available that you can book online before you leave home by using the links below. 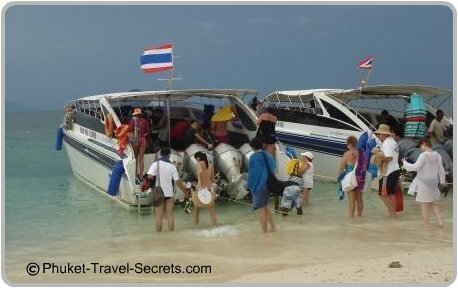 For a personalised service I would suggest contacting Easy Day Thailand, a professionally run tour operator in Phuket. 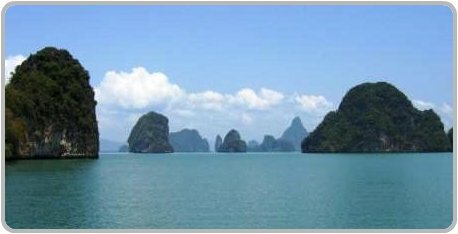 Easy Day Thailand offer a great selection of tours to Phang Nga Bay including a private Phang Nga Bay tour that will take you to all the highlights before the crowds arrive. As a second option you can also book tours with Viator. Elephant Trekking is a great activity for all age groups. Kids and adults alike will enjoy riding these gentle giants through the rubber plantations. Or you might prefer to have a fun half day safari tour that the whole family will enjoy. Older and more adventurous kids may like to go whitewater rafting in Phuket. For a relaxing afternoon you could take the kids to Bang Pae waterfall, the largest waterfall in Phuket. Here you can swim in the rock pools or visit the Gibbon Rehabilitation Centre, which is located just inside the park entrance. Inside the rehabilitation centre you will see how wildlife experts and volunteers from around the world have been working towards re-introducing Gibbons back into the wild. Tours of the Gibbon Rehabilitation Centre are free, and donations are welcomed. However you will have to pay an entrance fee to gain access to the National Park. The Centre is open daily 9am to 4.30pm. Bang Pae Waterfall is located in the Khao Phra Theaw National Park. Other fun activities for kids is to go horse riding. There are a few places around Phuket that are ideal if you have a spare hour or so. Phuket has lots of fun and fascinating places to explore; a great boredom buster for the little ones is a visit to the Phuket Butterfly Garden and Insect World, which is both interesting and an educational experience for visitors of all ages especially the kids who will love the huge, brilliantly coloured butterflies. They will also enjoy the onsite indoor insect display at Insect World; providing lots of fun activities for kids in Phuket. Phuket Aquarium is another spot that will provide some fun activities for kids, with over 150 species of sea life on display. Many of these species are from the waters of the Andaman Sea and the Gulf of Thailand. The kids might also like to visit the Phuket Zoo, where they will see, monkeys, tigers, snakes, elephants and crocodiles, but please read our page about the zoo before you decide to go. One of the best things to do with kids at night is to spend an evening at Phuket Fantasea a cultural theme park and entertainment complex, with carnival games, a shopping village and an award winning spectacular show. Many kids love nothing more then to have a game of golf with their parents and Phuket has eight of the best golf courses for them to play. 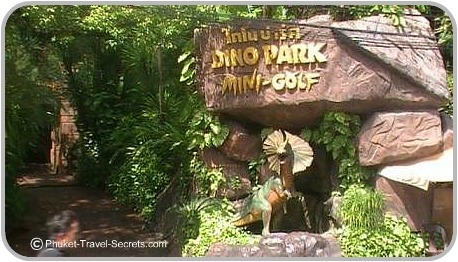 Even if the kids don’t like golf they will certainly have fun playing a game of putt putt at Dino Park Mini Golf which is located between Karon and Kata beaches. If your staying around anywhere North of Patong it would be quicker to go to Phuket Adventure Golf which is located at Bang Tao Beach. If you or your kids have the need for speed, then why not have some fun at Patong Go-Kart Speedway and Off Road Fun Park which is a great day of fun for the whole family. Another fun place to take the kids is to the Kids Club in Patong, there you will find loads of activities to keep the little ones amused for hours on end. For a full day of fun activities for kids and adults alike, visit the Phuket Shooting Range, where you will find lots of things to do with the kids all in the one area. The kids will also have lots of fun on an All Terrain Vehicle, which is also a fun way to explore Phuket, discovering local villages, farms, plantations and waterfalls. Kids love recreational activities like ten pin bowling, and there is definitely no shortage of bowling alleys in Phuket. Below is a list of Bowling alleys that you will find in Phuket. Ocean Plaza Bowling in Bangla Road Patong. Rock & Bowl at the intersection of Na Nai Road and Sai Nam Yen Road, Patong. SF Stike Bowling located on the 3rd floor of Jungceylon, Patong. CS Bowl on the 2nd floor at the Big C Supercenter on the Bypass Road. Pearl Bowling Lanes, Montree Road, Phuket Town. If you and the kids are feeling active and want to explore Phuket on a push bike or spend a few hours mountain bike riding, then why not contact Siam Bike Tours in Kata to organise some fun outdoor activities for the whole family. As Phuket is surrounded by water there are lots and lots of fun activities for kids to do. Snorkeling is a great activity for the kids and there are some great spots on many of the beaches in Phuket, however for a great day out with the family take a day trip to some of the Islands around Phuket. One of the best snorkeling destinations is the Phi Phi Islands, daytrips to the Phi Phi Islands by speedboat is fun and the quickest way to get there, ensuring that you get lots of time to enjoy your day in the water, exploring the corals and the tropical fish. There are other great snorkeling destinations closer to Phuket; some of the best include Racha, Coral and Khai Nok Islands. There is no shortage of fun activities for kids in the water in Phuket, including windsurfing, water skiing, wake boarding, hobi cats and para sailing. These activities are available for hire along most of the major beaches in Phuket throughout the high season. Some resorts in Phuket may offer non motorised activities free of charge. From May to October the normally calm seas on the west coast of Phuket, become a great destination for surfers and boogie board riders. The best beaches for surfing in Phuket are Kalim, Kata and Nai Harn Beaches. Snuba Diving or power snorkeling is also available and no experience is necessary. Snuba diving is the easiest and safest way for families to explore the amazing underwater world in Phuket, a great adventure for your next family vacation in Phuket! 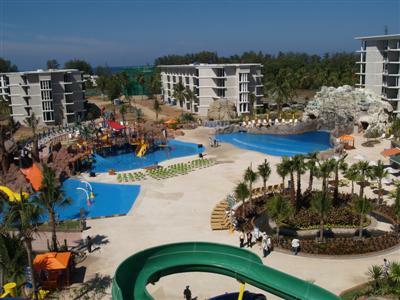 If the kids don’t go much on the beach, they might enjoy a fun day of activities at Phuket's first Waterpark. Splash Jungle Waterpark is open daily from 10.00am to 6.00pm. Shuttle buses are available, for details about the shuttle service call +66(0)76 372 111. There are many more things to do in and around Phuket and lots of fun activities for kids of all ages, as well as loads of rainy day activities if it happens to rain.